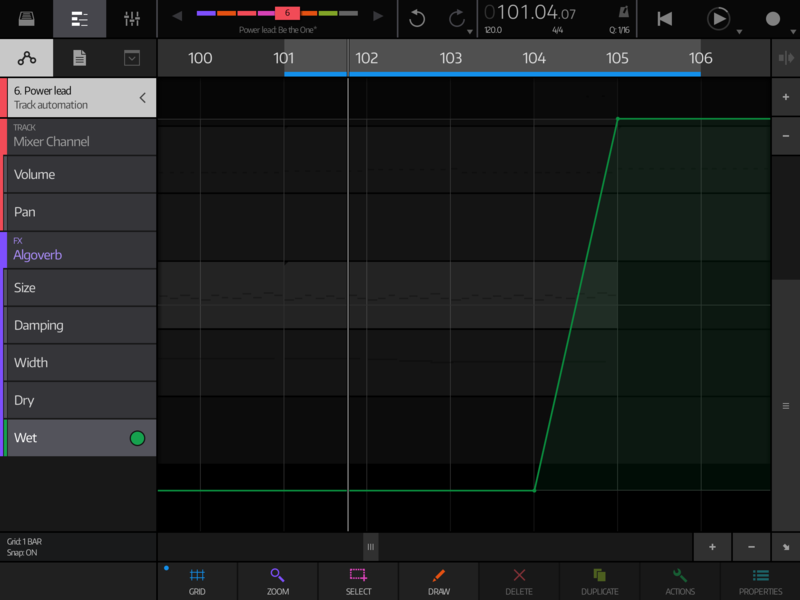 Can you automate audio fx? As per the title, I’ve added an effect through audio fx on a mixer channel and I want to automate some of its parameters. I can’t figure out how to add a sequencer track for the effect, and hitting record and then adjusting the parameters doesn’t create one automatically. If this isn’t possible, is there another way to add a second reverb to an Obsidian? I want the reverb to be there as normal but then be able to cross fade a much bigger reverb. In Reason I would just add a second Reverb unit in the effects chain and automate its wet/dry knob to fade it in and out, but I don’t seem to be able to do this in NS. Ahh, I found it. You do it in the sequencer by tapping the automation edit button and then choosing the track which has the effect in its chain. It then shows you automation lanes for the various parameters of the effect. That’s really nice that it’s all within the sequencer like that. Hmm, it doesn’t seem to work. The automation data is drawn in, but the knob doesn’t move and the effect doesn’t fade in. If I move the knob manually, I can hear the effect. Now, can I use one automation lane to control more than one parameter? Again I’m kind of porting from Reason where you can assign a knob to multiple parameters and then automate it. I know you can do this in the modulation matrix, but that only applies to effects within the instrument. Can I do the same thing for insert effects on the mixer? Or do I just have to draw automation for each parameter? 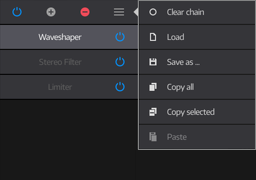 Ah, yes I’d seen the macro automation options and this is very similar to Combinator or Mix Channel programming in Reason where you can route one button or rotary to multiple parameters of multiple devices. It gets really crazy and you can get some amazing effects by cranking one knob and having it affect a whole load of instruments and effects simultaneously. I’d love to see this implemented for all automatable parameters in NS. Is there a way to simply switch on and off an audio FX? A workaround is just to reduce the wet control if that's exposed. The AU FXs currently aren't all exposing dry/wet parameters - am I right in thinking you can't just turn them off or on somehow? Cheers. It's 1:1 for AU Instruments but you can stack any number of parameters on Obsidian Macros (with discreet values for each). But I can't automate that, can I? Tl; dr: NS2 rocks at automation workflow. NS2 fans love automation. The full glass looks so much tastier when NS2 takes us 85% of the way from day 1! Indeed. For me it's similar to most requests. I'd love and make use of the ability to gang controls to macros with AU instruments. Same for automating AU effect parameters! And I look forward to those features landing at some point. But the truth is, if I can't make a decent song in NS2 without the ability to do those things, NS2 is definitely not the problem. @flockz Sigh. I didn't say that or imply any sort of correlation. You're obviously welcome to read it however you'd like but maybe note the pronouns. I make a ton of requests. NS2 -> my Tascam 424MKII sounds pretty awesome, by the way.